Face it, a good website is all about design. Content comes in at a distant second. Without a gripping and easy-to-use design, users will just move on to the next website. 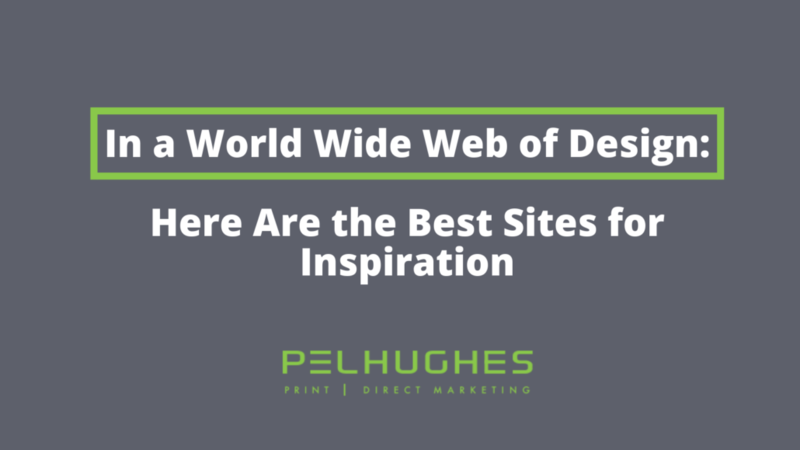 If you’re feeling a little “designer block” in developing your killer website, we’ve developed the ultimate list of go-to sites for inspiration. Take a gander. Trust me, these will provide the inspirational key to unlock your site’s creative and imaginative potential. Dribble may be one of the best known inspirational sites offering quick but effective creative shots. This quick and dirty site offers an endless catalog of images, and each click takes you to a single, stand-along image submitted by graphic designers the world over. What also makes this site interesting is that some shots are teasers from the artist of what’s to come – many are works in progress. However, there are even more that are final products which will inspire your inner creativeness. To add even more, Dribble also has a blog and podcast where you can get top-notch design advice and listen to some in-depth interviews from the sites operators. The easy-to-navigate site Abduzeedo.com is a design feature in and of itself. In addition to the eye-catching photos on the landing page, the global collective provides their favorite articles about design, photography, digital interfaces, and architecture. There are also sets of helpful tutorials regarding Photoshop, digital illustration and UX design. Even better, it’s all free to use. Also, while you’re there, take a look at their free Wallpaper of the week from various artists. Designspiration is exactly what its name implies: design and inspiration all rolled into one complete package. Think of Designspiration as like a Pinterest for designers. The site allows users to create their own profile and share their work with a creative community. It’s incredibly simple to organize bookmarks and create personal collections based on style, color or any other design attribute. Formfiftyfive, or FFF, is run by a large community of designers, coders and artists. The smooth and sleek website is packed with interviews and photos essays from up-and-coming artists. FFF is constantly looking for the newest talent and anyone can submit their portfolio on the site. Moreover, there’s also a huge section with job openings and upcoming digital events. Unlike some of the other sites, FFF provides short videos that are sure to ignite that creative fire underneath you. Ads of the World is a little different from other sites like FFF or Dribble. Its layout is astonishingly simple and is perfect for casually browsing to find inspiration. The site, as the name implies, features ad campaigns by allowing users to click on one of four categories: “latest ads”, “top ads”, “collections” and “student ads”. With no unnecessary filler or confusing tags, it actually makes ad browsing fun, and inspirational. Whether you’re looking for content related to computer sales or the Super Bowl, the “collections” tab will undoubtedly provide you with more than you can handle. DieLine is another site that virtually every designer worth their weight has heard of. It’s almost impossible to put together a list of design inspiration sites without mentioning the powerhouse DieLine (at least not a good list). For those of you living on the moon over the past couple years, DieLine places a heavy emphasis on packaging with a very active and current blog. The site is so heavily curated by exceptional artists that even each blog can provide enough inspiration to make your head spin. Even better, DieLine features job postings and opportunity to have your own work published on the world-famous design site. Make sure to give yourself enough time before you head over though – you’ll need it. There you have it. 6 of the most inspirational design sites on the web. This is where I stop writing, and you stop reading and start browsing these incredible sites to get that inspiration to create your own eye-popping site. God speed. 5 Reasons Why Direct Mail Is an Effective Business Tool DPI for Printing: What Is It and What Works Best?